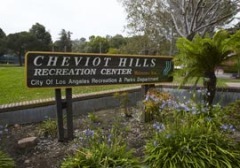 365 Summer Camps in for "Burbank, CA"
Jump and tumble through summer at the Golden State Gymnastics, strike out on adventure at the Stough Canyon Nature Center, make memories at Magnolia Park, and plunge into literacy at Burbank Central Library. 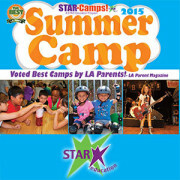 Check out our online directory of camps in Burbank to find the perfect camp for your child. Let your child brush up on their tumbling and handstand skills at the Golden State Gymnastics Fantastically Fun Summer Camp! Your child may have some gymnastics skills or none at all, all classes with be taught gymnastics basics, flexibility and strength before more specialized moves are taught. Do your kids still have energy? Open gym time allows kids to practice their flips and tumbles on their own. Click here to find out more about this exciting summer camp. Do you have a child that enjoys swordplay? The Action Adventure Summer Camp is the perfect choice for your little swordsmen. Students will learn the introduction of fencing, while mastering the footwork and technique involved. Sessions run for one week, Monday to Friday. You can get more details by doing going here. Spot good times at the Stough Canyon Nature Center, where California's natural history is on display. Pounce on the possibility to learn about local plant life. Join in on the journey to appreciate the great outdoors with one of the center's hands-on activities. Break out the bikes and take a trip down one of the nearby fire roads, where kids of all ages can wheel into excitement. Get a lesson outside a classroom at the center's outdoor amphitheater with programs attuned to the whole family's needs. Savor the flavor of fun at Magnolia Park, chock-full of places to eat, shop, and explore. Kick off a good time by discovering the history and importance of martial arts at theMartial Arts History Museum. Kids can learn about various Asian cultures through engaging exhibits. Let the little ones grab a ride on a cool car, or join other moms while the young ones bounce along in a stroller as part of a Magnolia Park Mamas walk. 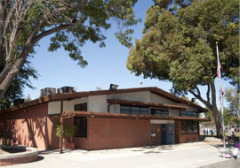 Enhance your children's enthusiasm for reading with a trip to Burbank Central Library. Marvelous manga magazines and graphic novels as well as classic young adult literature pack the place for teens and older readers. Nurse your little reader's natural desire to learn with a baby or toddler-specific story time. Crash the children's room for an afternoon of creative craft making, or watch a family flick with one of the library'smovie nights.